With the J. League preparing for its earliest-ever opening to a season, teams around the league are busy putting in the work ahead of the Feb. 23 kickoff. Cerezo Osaka will only have had a 40-day break by the time they contest the annual curtain-raising Fuji Xerox Super Cup with J. League champions Kawasaki Frontale at Saitama Stadium on Feb. 10, having won the Emperor’s Cup final on New Year’s Day. But with the World Cup in Russia this summer taking a sizeable chunk out of the domestic calendar, teams have had little option but to begin their warm-weather training camps earlier than usual. Frontale, who pickpocketed Kashima Antlers on the final day of last season to claim their first-ever championship, are currently in Okinawa. The club has made some eye-catching moves in the transfer market so far, bringing back striker Yoshito Okubo from FC Tokyo and signing Yokohama F. Marinos livewire Manabu Saito. But Frontale are not the only club to have strengthened over the offseason. Antlers, who would have clinched their record ninth league title last season with a win in either of their last two games — only to draw both — have repatriated fullback Atsuto Uchida after 7½ years in Germany. 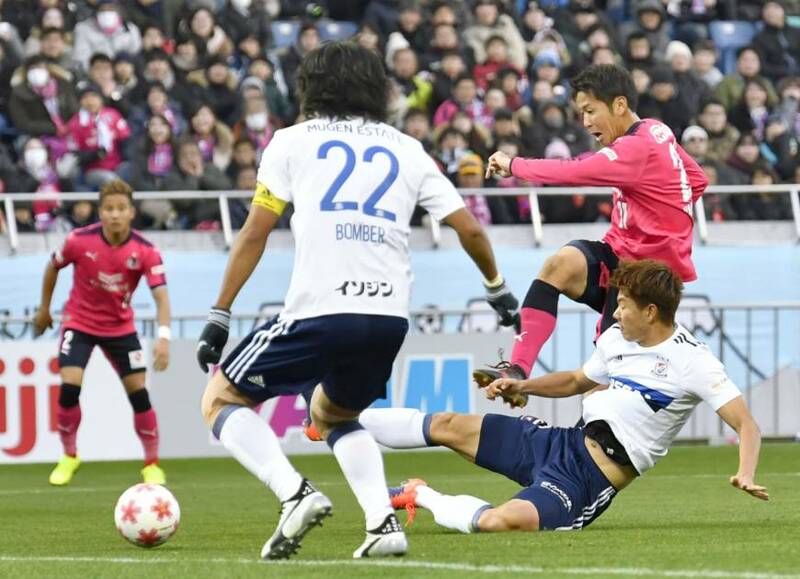 Uchida, who has 74 caps for Japan, has appeared in only three games since 2015 following a terrible run of injuries, but the 29-year-old claimed his first assist since returning to Kashima in a practice match against Tokushima Vortis in Miyazaki on Jan. 27. Cerezo will also be hoping to score goals of their own after winning both the Emperor’s Cup and League Cup last season, as well as finishing third in the league. Striker Kenyu Sugimoto made a big contribution to the club’s success with 22 league goals, and the 25-year-old is hoping to play his part again after missing the Emperor’s Cup final win over Marinos through injury. With just over a week to go before his team faces Frontale in the Fuji Xerox Super Cup, it’s easy to see why. Sota Hirayama may have been unable to live up to the hype generated by his selection for Japan’s 2004 Olympic squad while still a student at Tsukuba University, but it was still a shock to see him announce his retirement last week at the age of 32. Hirayama, who started his pro career with Dutch side Heracles Almelo before spending more than a decade at FC Tokyo, called it a day after suffering a relapse of a serious injury that kept him out of the whole of last season. Hirayama, who joined Vegalta Sendai from Tokyo ahead of the 2017 season, scored 33 goals in 169 J. League matches and three in four appearances for the full national team. “I was at FC Tokyo for 11 years and that feels like my home,” said Hirayama, who scored a hat trick for Japan in a 2011 Asian Cup qualifier against Yemen. “The celebrations, the happiness, the frustration, the sadness — I have lots of different memories. I was able to meet so many people and I will treasure that.